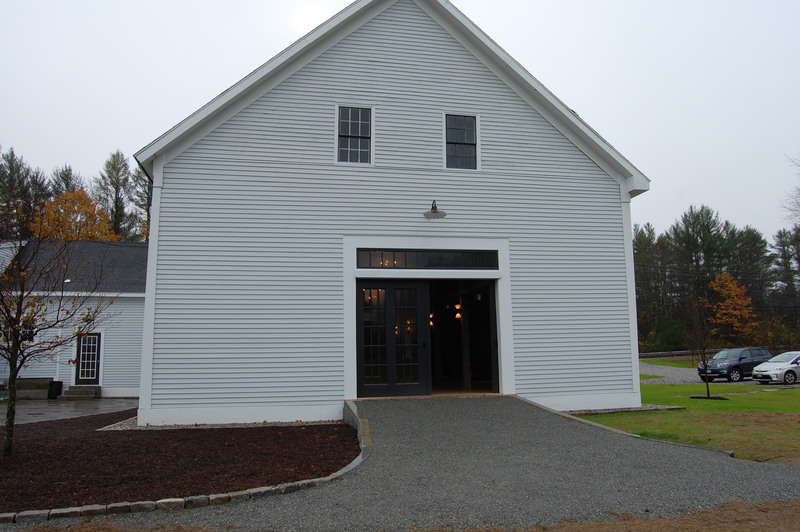 This weekend I had the pleasure of putting together a wedding at The Barn at Flanagan Farm (http://www.barnatflanaganfarm.com ), in Buxton Maine. It was magical! 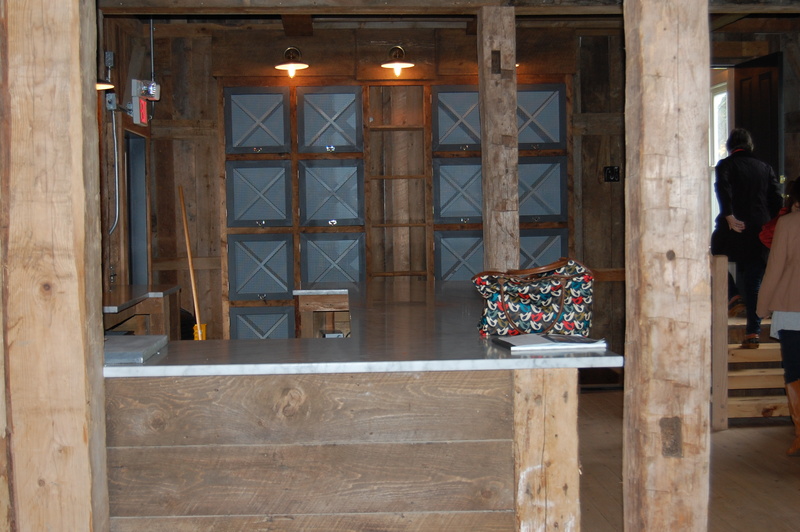 We really played up the rustic farm theme. 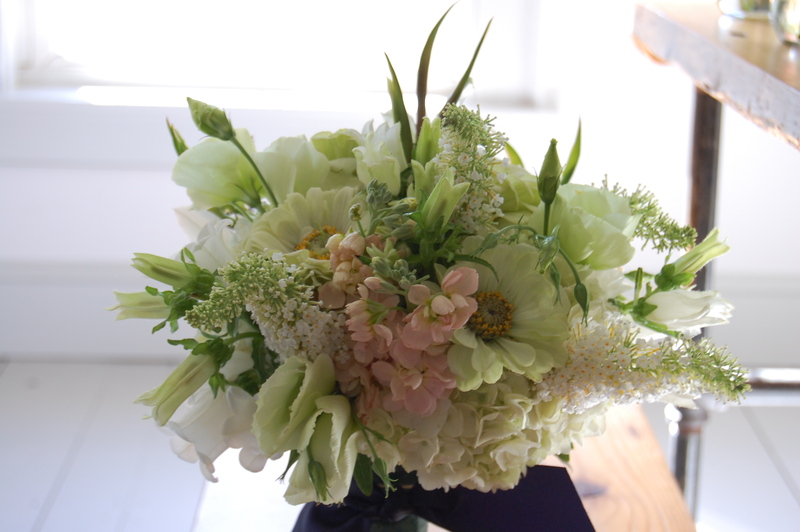 I always love my job, but I love it more when my clients are as delightful and thoughtful as this family. 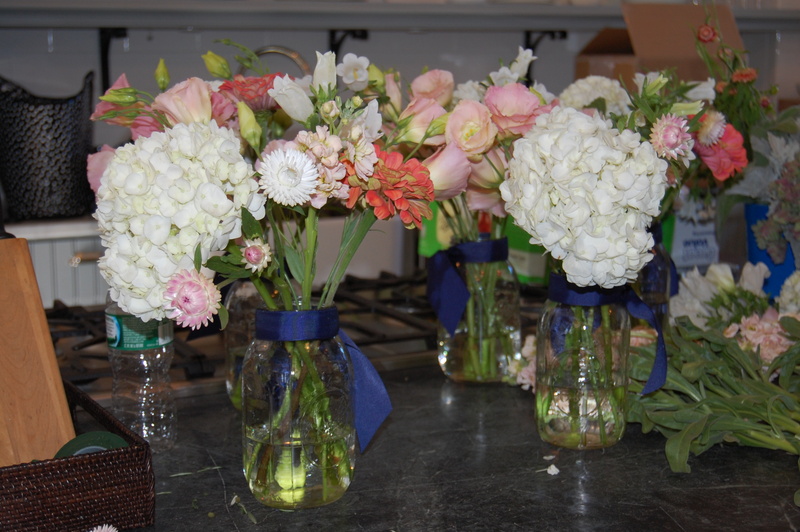 Snell Family Farm (www.snellfamilyfarm.com ) sold us these buckets of fresh flowers, we arranged them in mason jars. 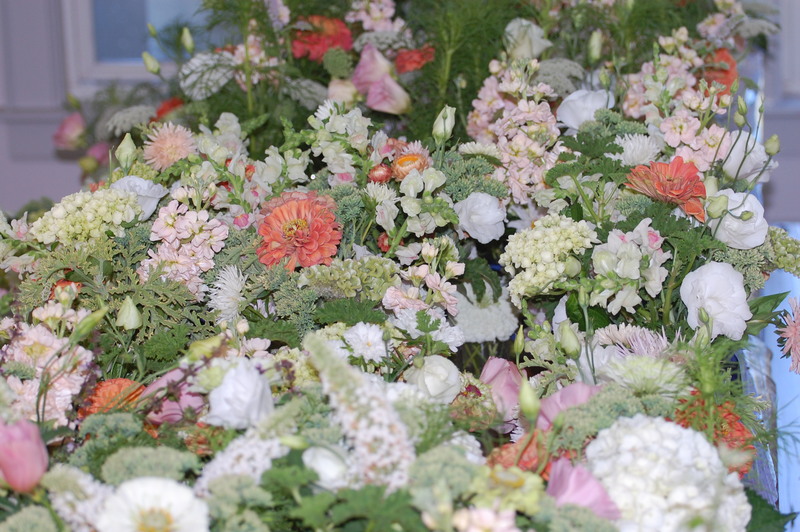 The colors of the wedding were coral and navy; they were so crisp and clean-looking! 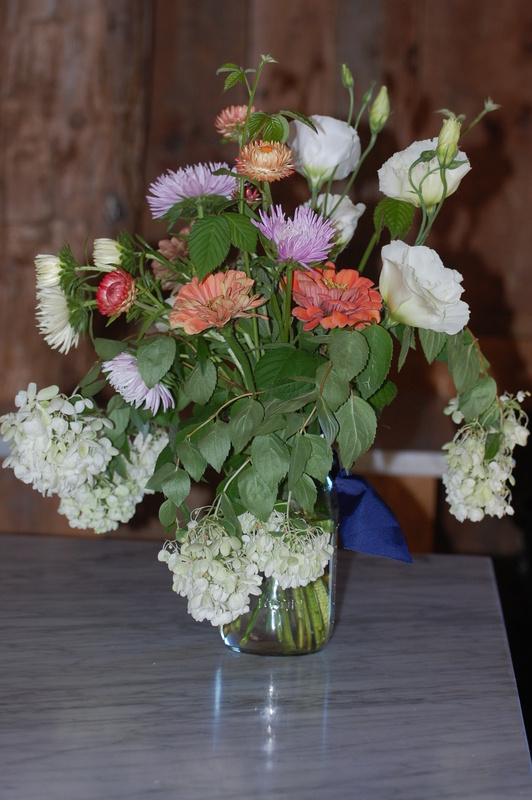 Here are the table arrangements that I made on site with the farm fresh flowers. We had long tables that seated 16-22 people, with 16 arrangements on each table. 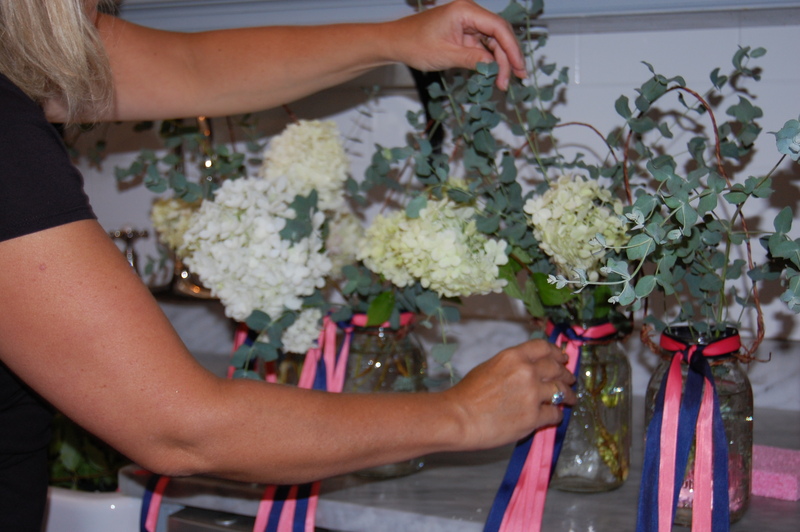 Each Mason jar was finished with wide navy ribbon. 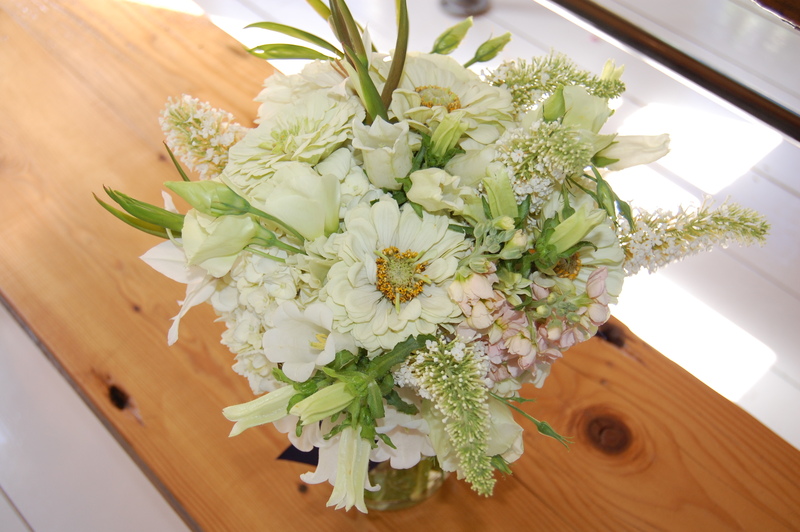 The flowers were fresh and beautiful just like the bride! 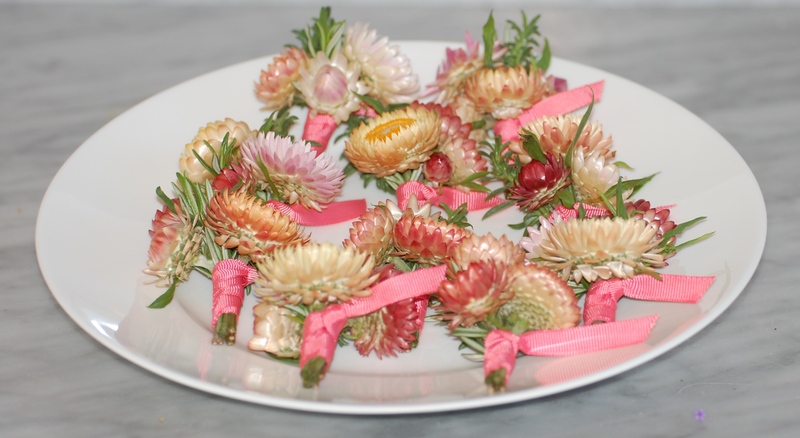 Details make an event so we tied fresh herbs to each napkin with thin coral ribbon. 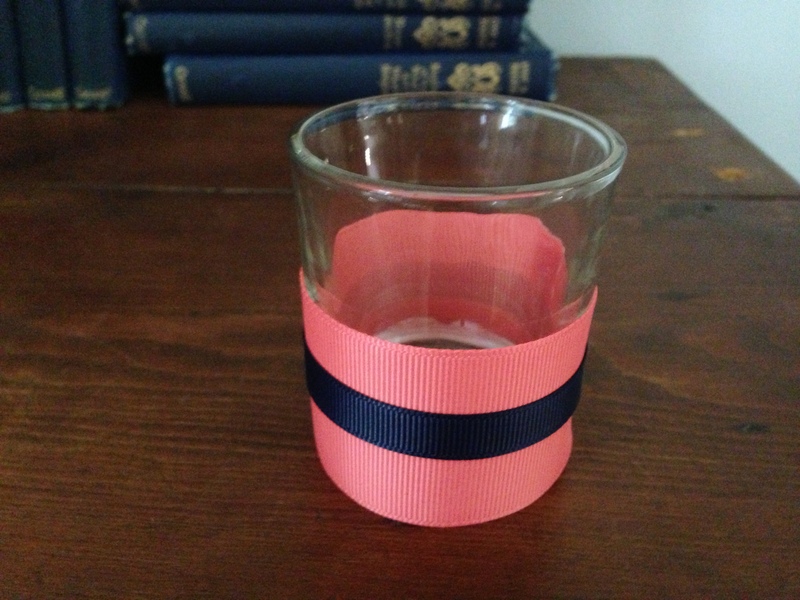 We used two widths of grosgrain ribbon on simple glass votives to add a touch of color. 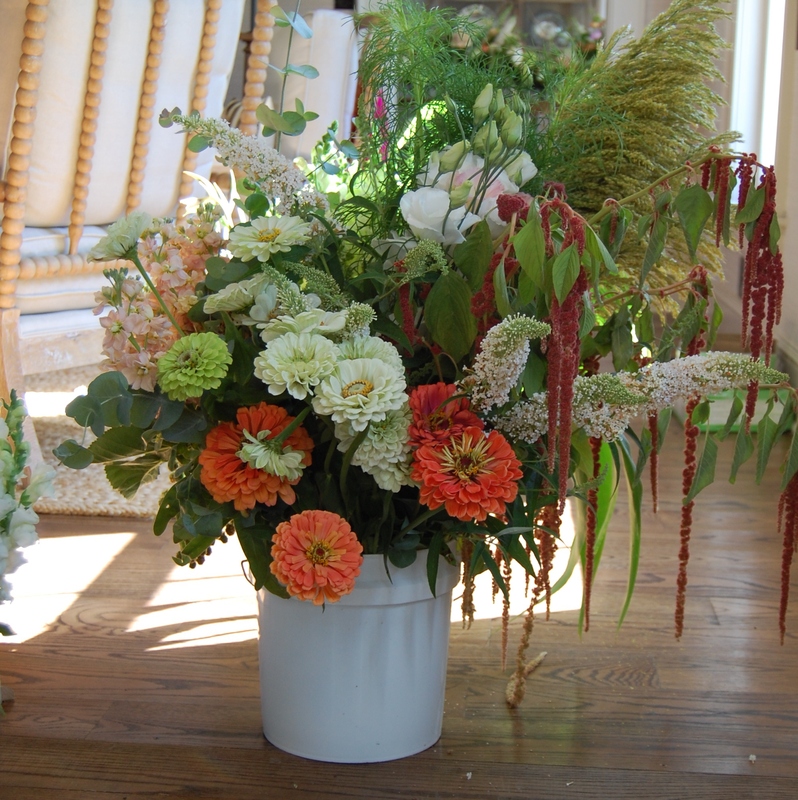 We subtlety repeated the colors in several ways throughout the event spaces. 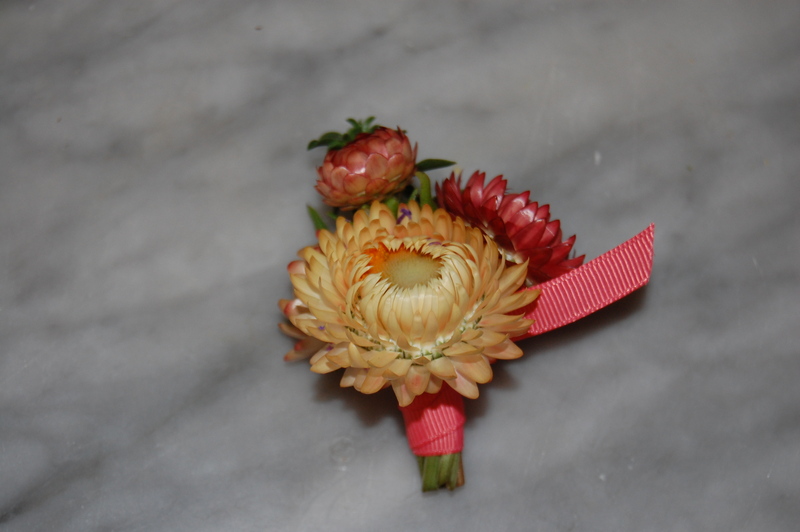 Look how cute the boutonnieres are…I love Straw flowers. 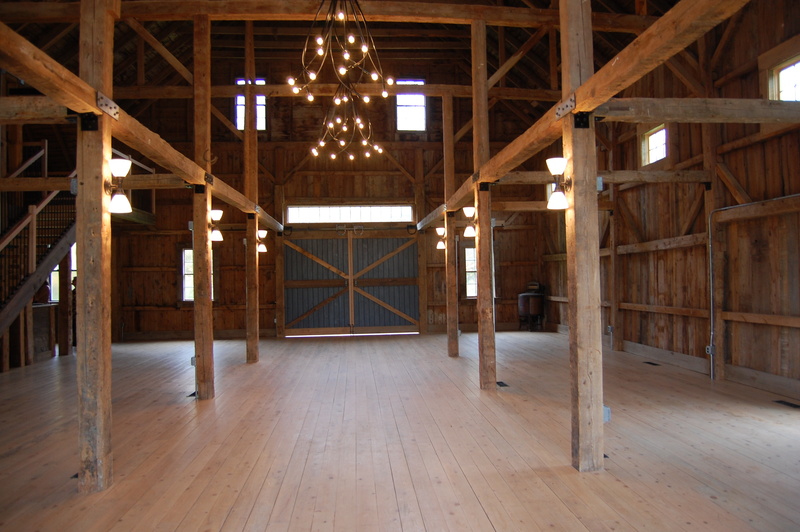 We used shepherds hooks to line the walkways and ceremony aisle. 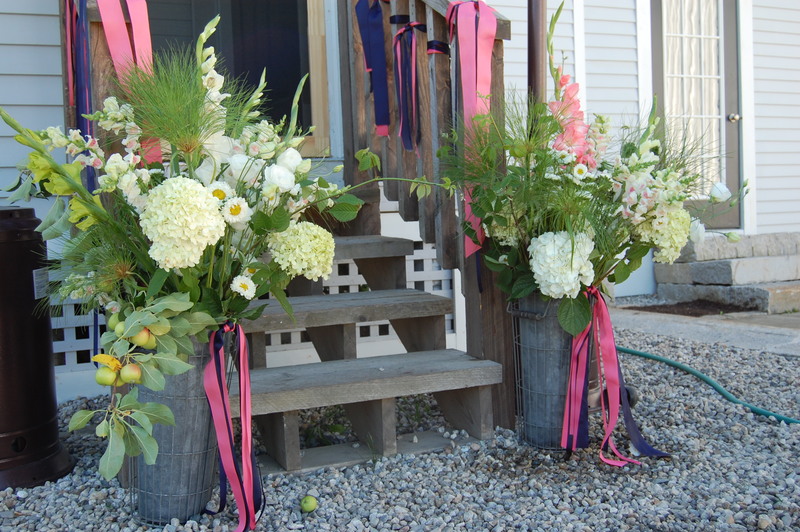 I added Ribbon tassels to them that moved with the breeze…it was so pretty. 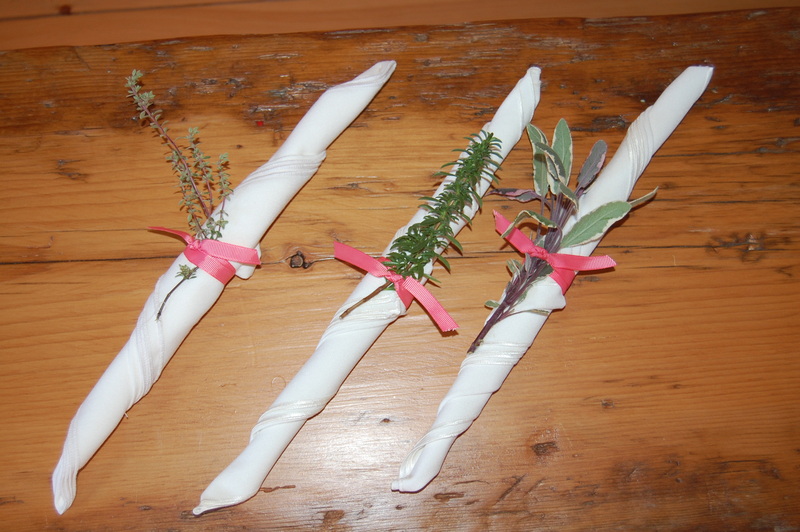 We hung candles and flowers from these shepherds hooks. 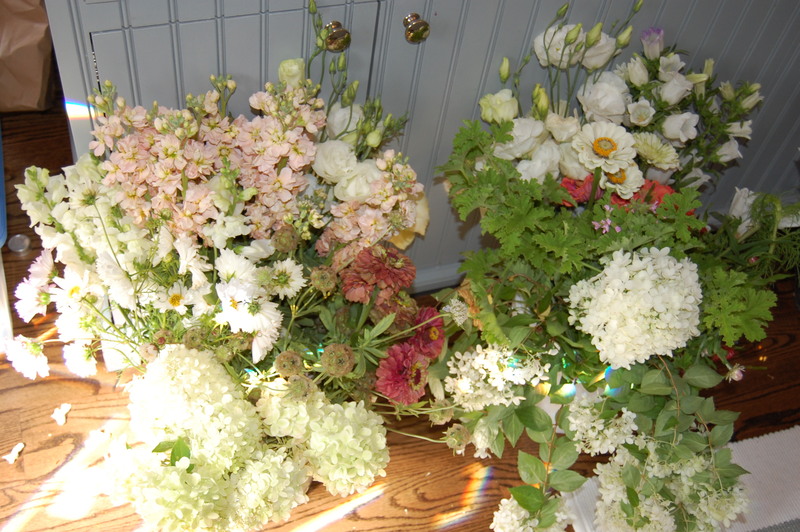 Here I am making the hanging arrangements for the aisle. 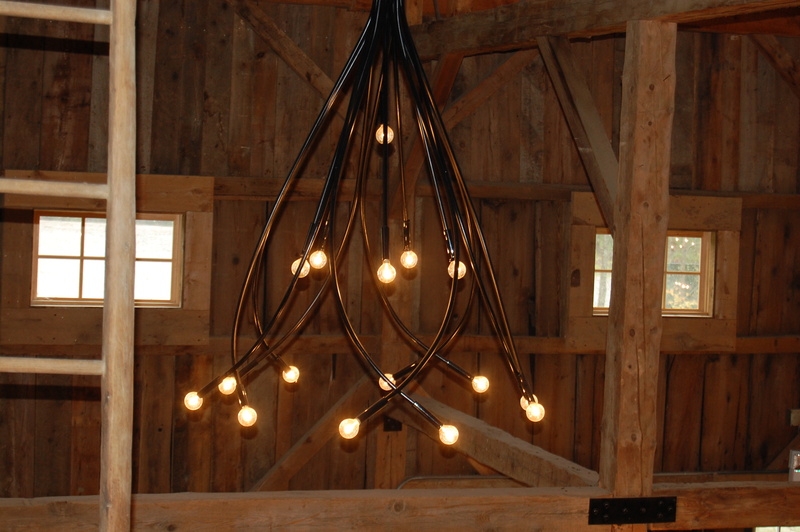 We like to decorate every space even the back stairs! 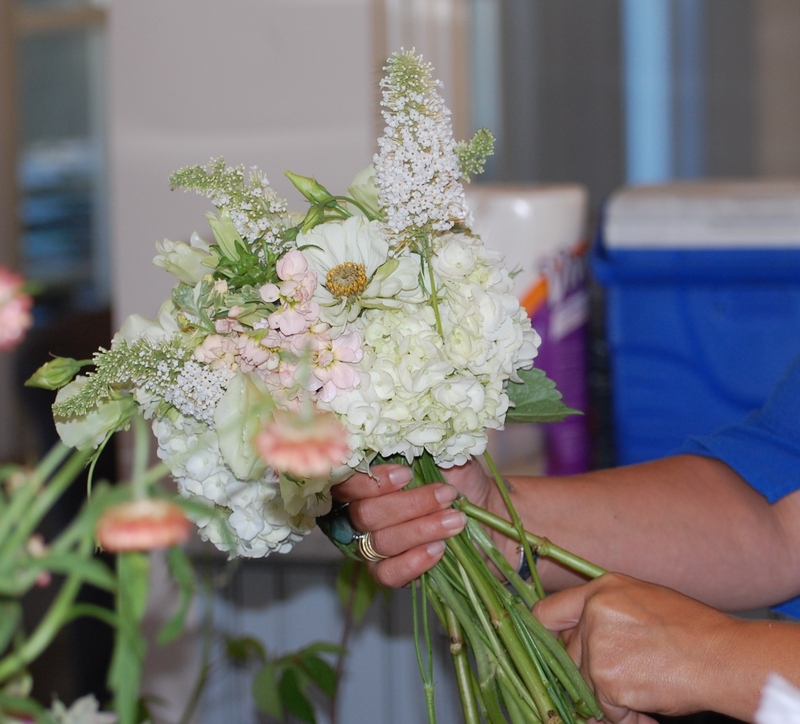 Below are the wedding bouquet being made (on site) by Carol Hiltebeitel (cocodesignco.com@gmail.com). She is amazing. She also does fantastic planters. I am so lucky to have such a great team! 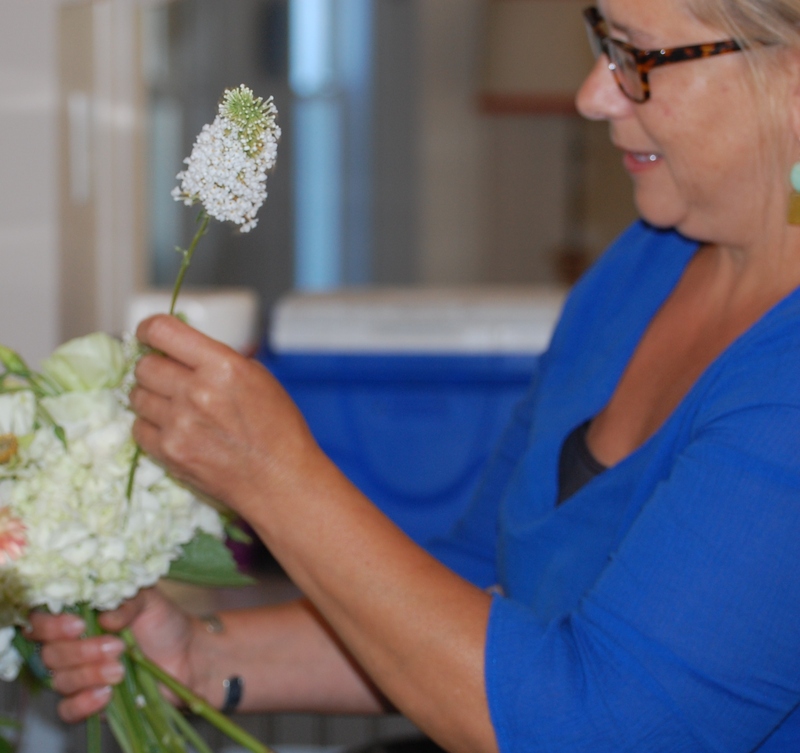 I could not have done this wedding without the help of the family and my assistant Lindsey Sowles and Carol. 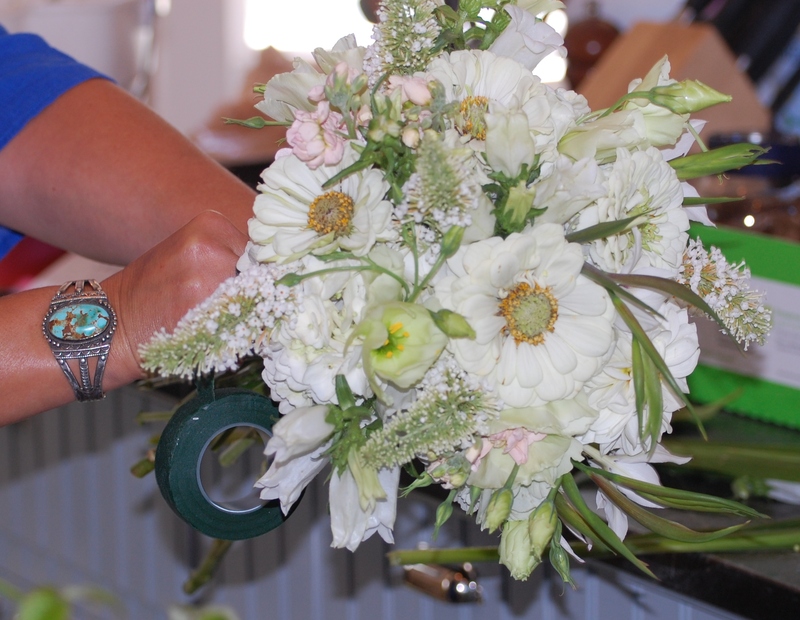 I will be showing the step by step directions for putting together a wedding in coming posts! Thank you for stopping by, as always if you like this post let me know by commenting or liking it! If you are not already subscribing to CBD please click the follow button, this way you will never miss a post!